At least for someone of my generation, it’s hard to think “Lincoln” without automatically filling in “Continental” after it. Yet the company is taking a rather low-key approach to promoting this storied model, especially considering the car was all-new for 2017 and offers several distinguishing features. Although “lesser” Continentals ride on 18- or 19-inch wheels, the top-line Black Label comes standard with 20-inch wheels, which are optional elsewhere. The 2017 Continental is offered in four trim levels: Premiere ($45,645 including the $925 destination charge), Select ($48,600), Reserve ($55,000), and top-line Black Label ($64,075). 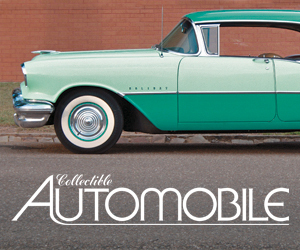 All come standard with front-wheel drive, but can be optioned with all-wheel drive for another $2000. A 305-horsepower 3.7-liter V6 is standard in Premiere and Select. Optional on Select and standard on upper-line models is a 335-horsepower twin-turbo 2.7-liter V6, while Reserve and Black Label can be optioned with a 400-horsepower twin-turbo 3.0-liter V6 that comes only with all-wheel drive. What we tested was a Black Label with the 3.0-liter engine and more than $12,000 worth of options that brought its sticker up to $78,670. Left: A nice touch is that the remote’s lock button can be easily found, even at night. Right: Door handles are incorporated into the chrome trim strip that underlines the side windows — an easy way to tell a Continental from its similar-looking (but lower-line) MKZ stablemate. That money brings a lot of luxuries, however. While any Continental comes fairly well equipped, a loaded Black Label offers some truly noteworthy features. Standard with that model is special interior trim that includes Venetian leather upholstery, Alcantara headliner, and a choice of accent materials, along with Member Privileges that include free car washes, an annual detailing, and free pickup and delivery of the car for service and maintenance. Other features include power soft-close doors (you just close the door lightly and it latches itself), hands-free power trunk lid, and tri-zone climate control. Added as options were 30-way power driver seat with individually adjustable thigh bolsters, park assist (the car will park itself in a space), front and 360-degree cameras, windshield-wiper deicers, and a Rear Seat Package with heat/ventilation/massage/power seat-back recline, inflatable rear safety belts, power rear and side sunshades, and a dual-pane power sunroof. The optional 30-way driver seat on our test car features massage and individually adjustable thigh supports. While there’s plenty of room in front — and we found the optional 30-way adjustable front seats to be very comfortable (some might especially like their massage function and individually adjustable thigh supports) — there’s not the room in the rear seat that one might expect. Legroom isn’t the problem; headroom is. Our test car had the optional $4300 Rear Seat Package, which includes heat, ventilation, power lumbar adjustment, massage, a reclining seat back, power side and rear sunshades, and individual audio and climate controls, essentially turning the area into a first-class travel lounge. But it also includes a dual-pane power sunroof, which cuts at least an inch-and-a-half from available headroom, which isn’t all that great to start with. There’s a “divot” between the rear of the sunroof housing and the rear window that taller folks might be able to make use of if the reclining seat back is at the right angle, but it would likely hinder egress for anyone over about 5’9. We sat in the back of a car without the sunroof and found that 6-footers could likely be accommodated without trouble. Visibility is OK to the front and rear (the latter aided by our test car’s 360-degree camera), but it’s restricted to the sides by thick roof pillars. 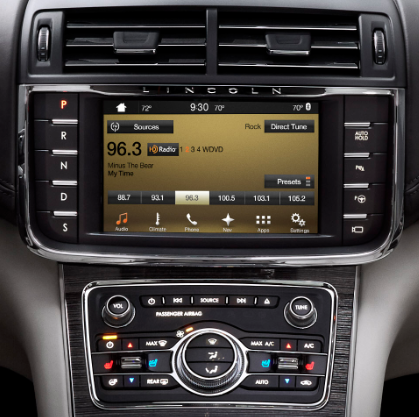 A standout feature of the Continental is its easy-to-use infotainment system. Stacked to the left of the touchscreen are the gear-select buttons, which are not only handy, but free up console space for storage. 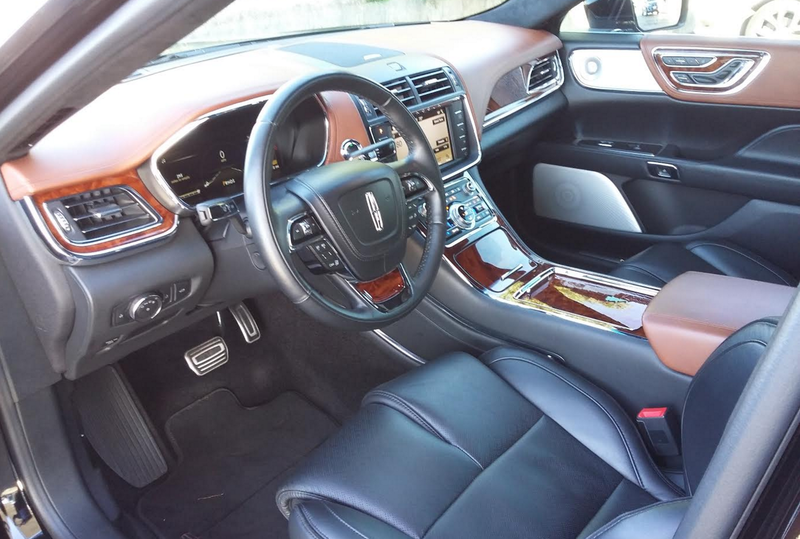 Particularly noteworthy — in a very positive sense — is the Continental’s control layout. 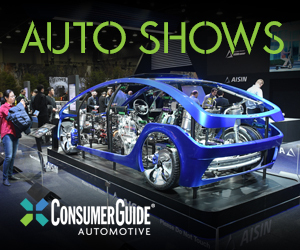 Most other luxury cars suffer very complicated infotainment and controls that are not only difficult to learn, but have multi-step processes and awkward mechanics that make them tedious to use, especially when driving. But those on the Continental are about as simple and straightforward as they come nowadays, with the added bonus that they’re very easy to reach. Volume and tuning knobs are joined by simple and logical touchscreen “buttons” for infotainment settings, and a CD player – an increasing rarity – is offered, though it’s hidden in the back of the forward console bin, where it’s awkward to reach. Climate adjustments are made by a combination of temperature flippers, a fan-speed knob, and mode pushbuttons, which – quite unusually – allow you to choose lower, dash, and defrost vents all at the same time, a nice touch. Furthermore, several physical buttons activate such often-used (but too often, hard to use) features such as seat heaters/ventilation and the heated steering wheel. Gear selection is done through another stack of buttons to the left of the touchscreen. This is a “Lincoln thing” that may take a bit of acclimation, but it’s worth it. Aside from being very convenient and easy to use, it takes the gear lever (and a lot of unseen associated hardware) out of the console, which frees up valuable storage space – something the Continental has in relative spades. Joining a moderate-size glovebox are a good-size 2-tier console box with 12-volt plug, two cupholders and a bin in the console under a sliding cover, a large forward bin with two USB plugs (and, if so equipped, a CD slot) – also under a cover – a tiny left-side dash bin, and small map pockets with cupholders in the doors. This is another area in which the Continental shines, as many rivals have scant interior storage space. The interior of the tested Black Label hosts impressively rich materials. Also of note are the interior materials used, at least on the line-topping Black Label we tested. Upscale two-tone leather was joined by rich-looking wood and stainless-steel trim to create an impressively classy environment. 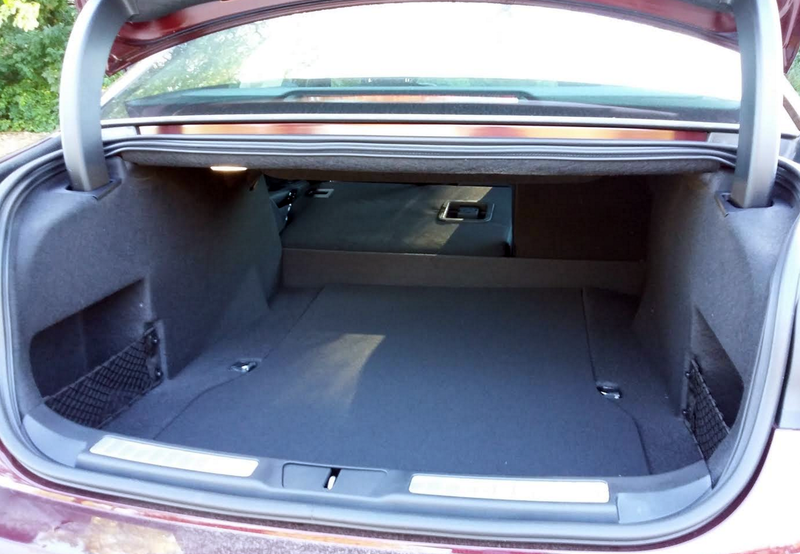 Trunk space is good rather than great, with one notable variable. Almost unusual for the class, the rear seat backs fold to expand the cargo area, though they rest about four inches above the level of the cargo floor, making it difficult to slide long items forward. Opt for the aforementioned Rear Seat Package, however, and those comfy perches delete the folding rear seat backs, leaving a mediocre 16.7 cubic feet of space – and there’s no hidden storage under the floor. Our test car was fitted with the optional 400-horsepower 3.0-liter twin-turbo V6, which comes standard with all-wheel drive. Nail the gas from a stop, and a Continental so equipped moves out quite well … and then really moves out as boost builds. Hit the throttle while underway, and the 6-speed automatic transmission kicks down fairly quickly for more passing power, which is impressive in its potency. Although Continentals with our test car’s Rear Seat Package don’t have fold-down rear seat backs, other versions do — something not always offered in premium large cars. Shown is a Continental Select with the left-side seat back lowered; it leaves a four-inch step that has to be cleared to slide long items forward, but does serve to expand the space. The Black Label includes a hands-free power-opening trunklid. Less impressive, however, is the ride quality. It seemed as though the suspension was compliant enough – even a touch wallowy over swells – but the tires were not. Our tester carried the optional 20-inch wheels shod with low-profile tires, whose short sidewalls didn’t seem capable of absorbing small bumps. This would likely not be noticed much on relatively good roads, but this car was tested in our home environs of Chicago, where “good roads” are hardly the norm. Most folks shopping for premium large cars probably don’t even have the Continental on their radar, as foreign makes dominate the segment. 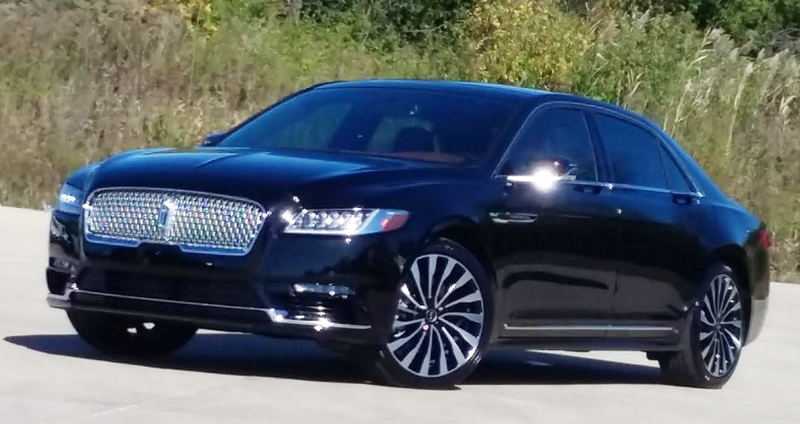 But Lincoln’s largest sedan really deserves consideration, especially by those who don’t like the confusing control layouts and high price tags of the most prominent names in this class. 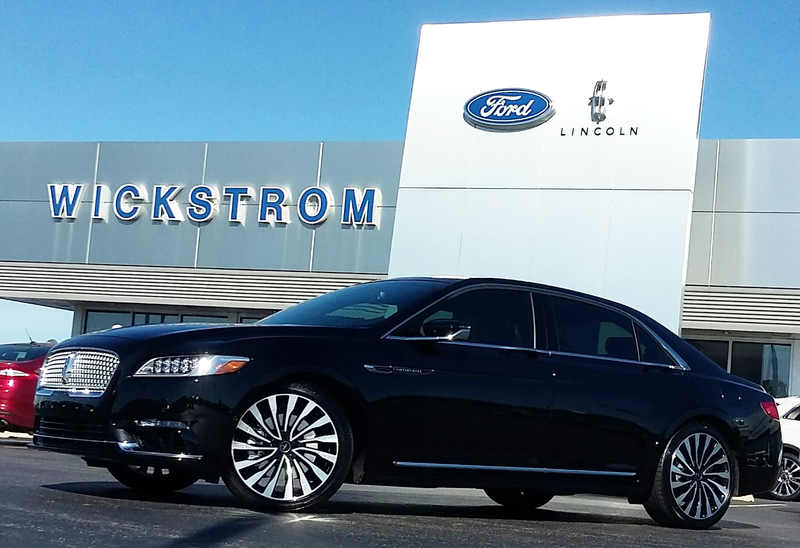 Lincoln’s Continental strikes a stately profile that puts it right at home in the premium large-car segment, and several of its features — including convenient controls, available ritzy interior furnishings, and low-for-the-class prices — should also put it on more buyers’ shopping lists. We’d like to thank the Wickstrom Auto Group in Barrington, Illinois, for allowing us the opportunity to drive one of its loaner vehicles for this evaluation. Written by: The Daily Drive staff on October 23, 2017.